The Toyota Celica LB Turbo was a Group 5 Special Production racecar version of the 3-door lift back first generation Toyota Celica 2000 GT. It competed in the Fourth generation Group 5 series in 1977 and 1978. It was plagued with reliability problems but it managed to finish twice and win a non-championship race. At the end of its European career, it went on to compete in Japan with limited success.Throughout its competitive seasons, it was the only non-German car to compete in the top division of the German series. It's debut race was at Hockenheimring circuit in Germany, which I have represented with a small section of track. 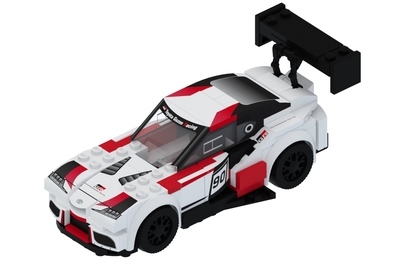 While the Toyota Celica LB Turbo does not have the most impressive career, with only 21 starts and 2 victories, I built this model because I believe that it will make a nice addition to the current speed champions lineup. 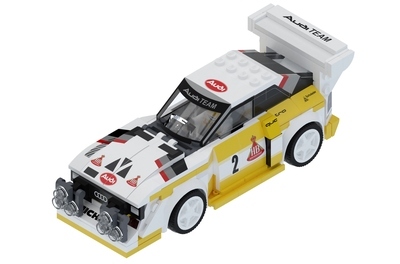 It would also be the first car from the Group 5 series of European racing. 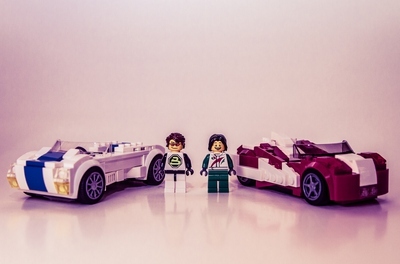 My reproduction of this historic racecar consists of 175 bricks. The entire scene is only 290 bricks. 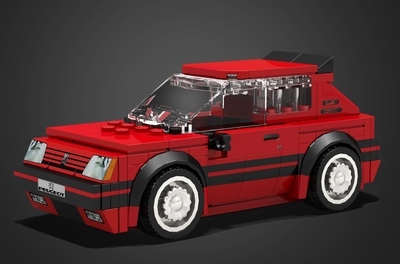 I built the original 1977 version which was in blue and featured the number 56. It later changed to a red and white color scheme. If you like what you see and if you would like to see more Group 5 cars then make sure to click that support button, share it with everyone you know, and follow it! Thank you all in advance and brick on! 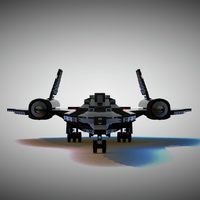 Don't forget to check out my other models as well!